The world of business is growing faster than ever in our technology driven area. Nowadays its not just about having a great product of service, but also having the best tools to successfully attract customers. Many times this is advertising, and many times this is word of mouth. More often than not, business professionals who are organized, and well informed have the best chance of having a healthy business. Nowadays there are plenty of free applications that can give you a little bit of help for your business. Even better applications come with a price tag, but are well worth it. Ten years ago, applications today would have been highly complex software programs that would run you a pretty penny. Today’s high tech world gives you amazing tools at a limited price for what they are worth to your business. 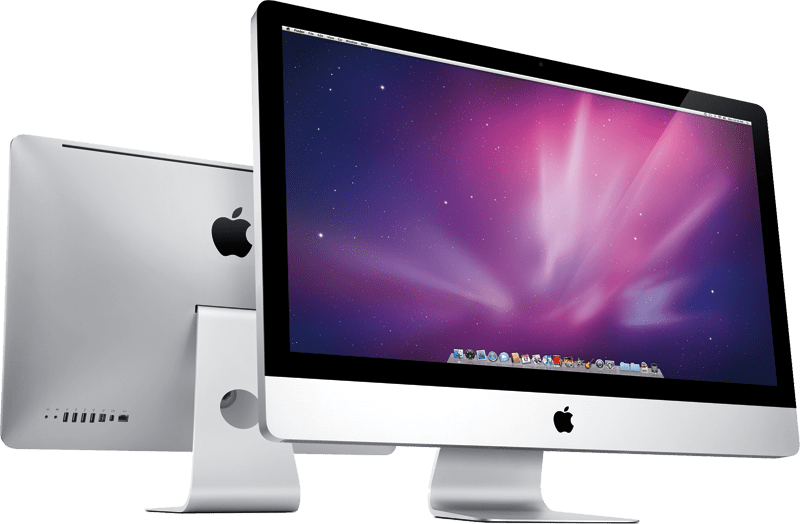 Lets check out the top ten business applications for iMac users. The number ten item is exactly what it sounds like. It lets you put your John Handcock where you need it without the need for scanning. This app is designed for putting your signature on anything, and has gotten some great reviews, especially since it is only $2.99. This lets you save time by not scanning, and save money by not printing. You will need a Multitouch Trackpad, Magic Trackpad, or Wacom Tablet. Invoice was degisned for the sole purpose of being compatible with OSX, and is not just simply another port from various platforms. This is a fully featured invoice application for all business users. Whether you are self employed of working with many employees this will help you keep up to date with payments coming in, and your open balance. This app also lets you use charts and graphs to get instantaneous knowledge of your progress. This will be the only invoice application you will ever need and runs for a respectable price of $39.99. This application is perfect for beginners in design and entrepreneurs that are looking for a quick simplistic logo. This application with is only $3.99 lets you look through a number of template logos, and then edit them to your liking in Photoshop CS2+ or Illustrator C2+. For only $4.99 you can start becoming more productive and stay on task with ease. Desktop Task Timer allows you to set up deadlines and timers for different tasks or projects. All you do is enter a task with a time limit and hit start. You will find yourself becoming more productive and less time will be wasted on senseless things. They have great support, and encourage communication to make the best product possible. Another great feature is handy keyboard shortcuts which is just another great time saver. This version of OmniGraffle has it all. This is the perfect too to design any sort of graphics you may need. It comes in two different versions. The standard version which is $99.99, and the Pro version that runs $199.99. Both versions are great, but your skills will probably be the deciding factor on whether of not you will get the Pro version. This is the best tool out there to build complex graphics, make logos, build icons, and much much more. Some of the Pro features include Visio Impost, Subgraphs, Shared Layers, Document Scale, Presentation Mode and much more. Building infographics that are comparable to link building services. has never been so easy. They also offer tutorial videos on their website to help you along the way. This is the best value and most simplistic word processor out there for Mac’s. It is lightweight, runs extremely fast, and has a Mac-Like friendly user interface. For $5.99 you cannot compete with this price. Very simplistic design, and can handle of your writing needs from font and colors, to implementing your own professional footer. This app comes OS X Lion ready. This app does exactly what it says. Converts up to date any currency you wish, and this app is only $.99. I am not sure what the current ration that is for other currencies but you can purchase the app and find out in a breeze. This app does its job when you need it and then gets out of the way when you are done with it. Perfect for those of us working with client in other countries. This application lets you open MSG and Winmail.dat files for you iMac and view them in their entirety. This allows you to make all the business communication that you previously could not do with Mail. This application is only $5.99 and is the best way to view all of your business emails, while saving all of your contacts. Smart recorder is the best recording tool for any business. You can use this on iPhone, iMac, or iPad. Smart recorder automatically pauses when no sound is made, and starts recording again when there is some sound that returns. Time based tags allows you to jump back and forth through detailed recording. This is the perfect tool for meetings or conference calls. Other recording devices can charge up to $100. Now you can have more features and all for the low price of $4.99. This was rated the #1business application in 36 countries on the first day of its release. You can sync your iPhone, iPad, and now your Mac to whatever computer you wish from anywhere with remote access. You can also go from a Mac to Pc, and access via local network or across the internet. For a limited time the price is reduced to $9.99 due to the release to all Macs. Take advantage of this opportunity while you can, and get rule remote access to any computer wherever you are. This article was written by Ben Anderson. Ben is an Apple product enthusiast. Pingback: November Guest Blogging Roundup + Meet MyBlogGuest.ru!